MigrationOnline.cz › E-library › Labour markets are about people. Listen to the stories of migrant and local workers’ struggles for decent work. In the series “Europe is working” you will hear testimonies of workers beyond their citizenship status sharing their everyday problems at the workplace and possibilities of solidarity and collective actions at work. These podcasts are results of interviews with local and migrant workers as well as other relevant stakeholders (such as trade unionists or academics) across various economic sectors and European countries (Spain, Italy, Bulgaria, Czech Republic and Poland). 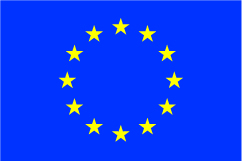 The recordings were produced within the project “Towards Shared Interests between Migrant and Local Workers” supported by the Europe for Citizens programme of the European Union. The project consortium involved Multicultural center Prague (lead), University of Padua, “Our choice” foundation, Red House Center for Culture and Debate, Estudios y Cooperación para el Desarrollo (ESCODE), and SOLIDAR. The podcasts were created in collaboration with Center for media, data and society of the CEU. The views expressed in this publication are those of the respective authors and do not reflect the views of the European Commission. This episode follows the story of three Ukrainians working in Poland. The thread connecting the different stories of migrant labour is that in each case, the work is mediated in specific ways. This episode is a journey to an all-inclusive resort on the Bulgarian coast where Bulgarians and Ukrainians find seasonal work. This episode explores how the organized domestic and care workers can find mutual grounds for solidarity with the feminist movement in Spain. We will learn how migrant workers and local activists built a shared strike on the 8th of March. This episode focuses on poor labour conditions in Czech super- and hypermarkets and the possibilities for collective action. You will listen to a dramatization based on interviews with migrant and local retail workers.